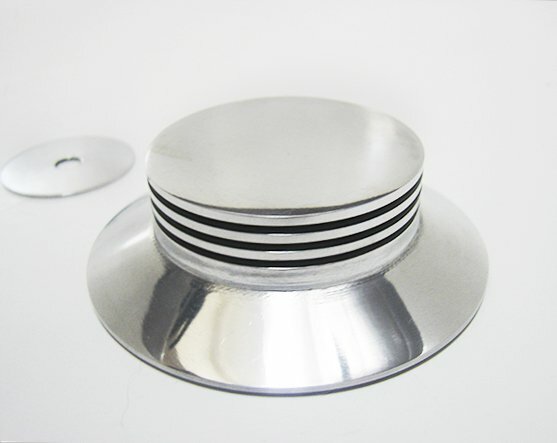 CHARACTERISTIC AVAILABLE COLOURS: BLACK / WHITE Easy to access belt picking sector with polished aluminium closing cap. 22 mm height 2380 grams IMPORTANT: DUE PLATTER WEIGHT PLEASE CLICK AT "FEDEX EXPEDITED EXPRESS" SHIPPING METHOD CHECKBOX, AT CHECKOUT. THANKS ! COMPATIBILITY Planar 2, 3, 25 and Rega RP1, RP3, , RP40, P1, P2, P3, P25, and P3-24. New 2016 Planar 1,2,3 and compatible brands. 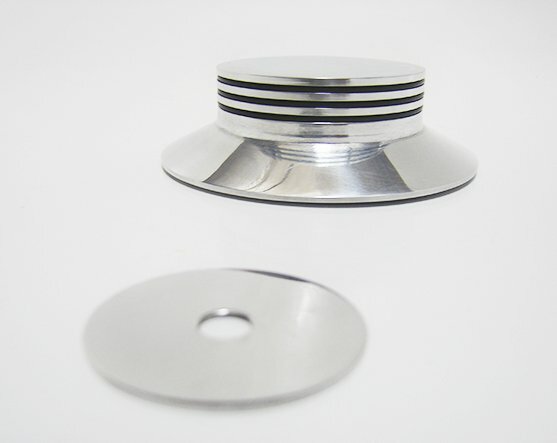 SPECIALLY RECCOMENDED IF YOU NEED TO TAKE OFF YOUR PLATTER EACH TIME YOU NEED TO SWITCH TURNTABLE SPEEDS. CHARACTERISTIC COLOUR: WHITE / BLACK 23 mm height IMPORTANT: DUE PLATTER WEIGHT PLEASE CLICK AT "FEDEX EXPEDITED EXPRESS" SHIPPING METHOD CHECKBOX, AT CHECKOUT. THANKS ! COMPATIBILITY Planar 2, 3, 25 and Rega RP1, RP3, RP6 , RP40, P1, P2, P3, P25, and P3-24. New 2016 Planar 1,2,3 and 6 and compatible brands. CHARACTERISTIC Astor model subplatter (11.5 mm hub height) with silicone inserts. Installation kit. COMPATIBILITY Rega P1, RP1, P2, P3-24, Planar 2(original version & 2016 version), Planar 3 (original version & 2016 version) , Planar 5, Planar 25. 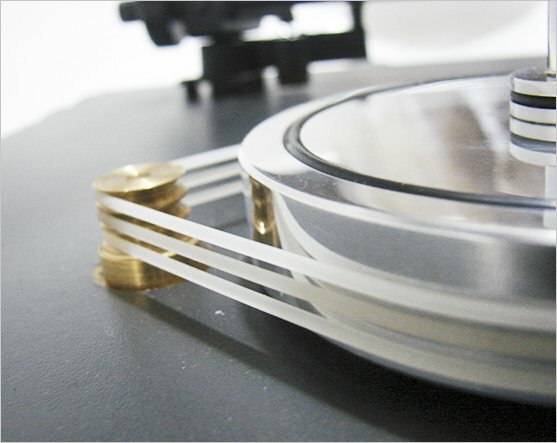 Any Rega model that work with a standard height (11.5 mm) subplatter and a MDF fiber, resin, glass, acrylic or Delrin (r) platter. COMPATIBILITY For RP1, RP3, RP6, P1, P2, P3, P3-2000, P3-24, PLANAR 5, PLANAR 25, Planar 1, Planar 2(original version & 2016 version), Planar 3 (original version & 2016 version). 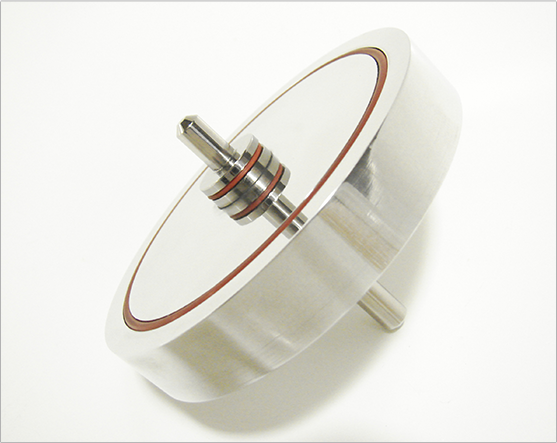 CHARACTERISTIC A high performance Rega compatible bearing sleeve. Vesconite Hilube has been shown to offer up to ten times the life of bronze parts. 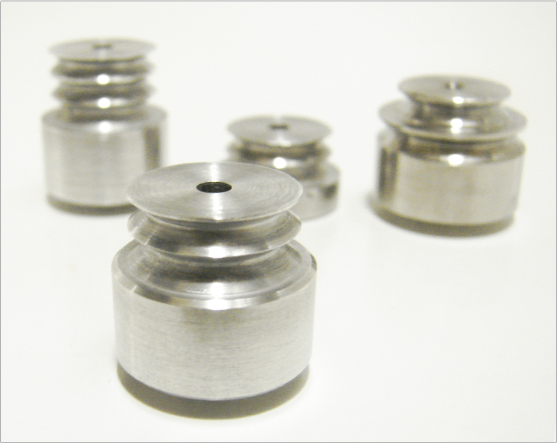 Vesconite Hilube incorporates an internal lubricant that translates into an exceptionally low friction coefficient. Combined with excellent dimensional stability, low wear rates and a high load-bearing capacity. Hilube has a PV rating (pressure x velocity) even better than other more expensive termopolymers. COMPATIBILITY All Rega turntable models. CHARACTERISTIC Troilo model subplatter (17.5 mm hub height) with red silicone inserts or black EPDM Installation kit (silicone belt, ball bearing) Optimal for glass, acrylic or Delrin platters. 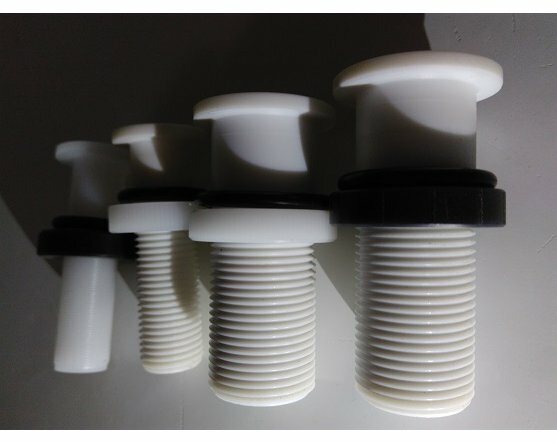 CHARACTERISTIC Mederos model subplatter (11.5 mm hub height) with butyl rubber inserts. 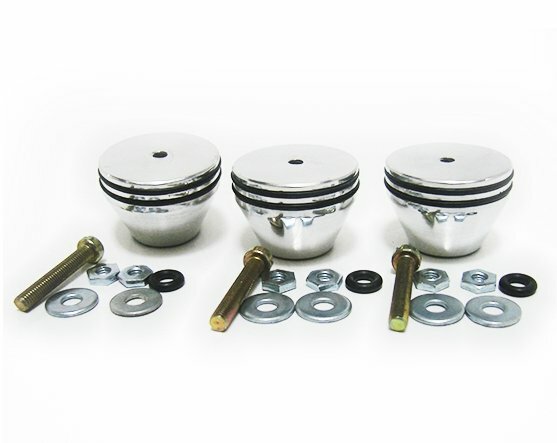 Installation kit (belt and ceramic zirconia ball bearing) Optimal for MDF/Fiber/Resin Platters. 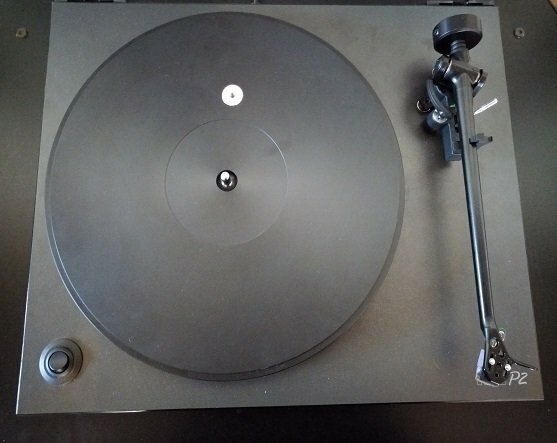 COMPATIBILITY Rega RP1, RP2, P1, Planar 1 2016, or any Rega model that work with a 11.5 mm hub heigh subplatter and with a MDF/Fiber/Resin platter. 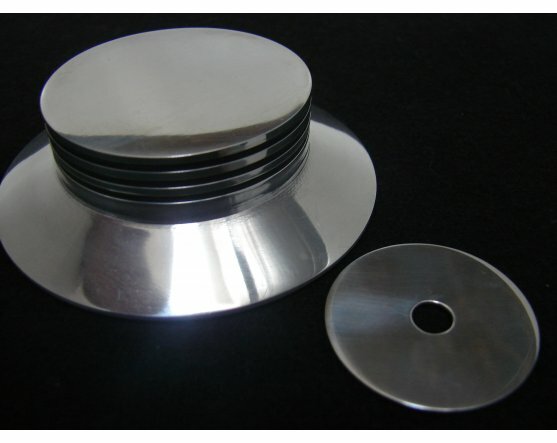 CHARACTERISTIC SOLID 6061 ALUMINUM PULLEYS. COMPATIBILITY EVERY REGA MODEL IN 50 OR 60 HZ POWER SYSTEMS. COMPATIBILITY For RP6, 2017 Planar 6 or any other Rega model or DIY project, with 17.5 mm hub subplatter. 50 and 60 Hz versions. CHARACTERISTIC Astor model subplatter (11.5 mm hub height) with silicone inserts. 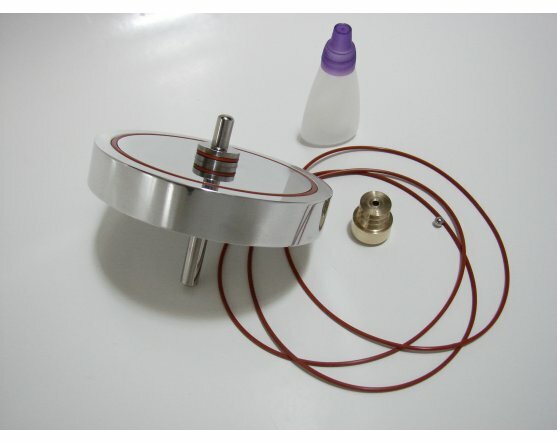 Aluminium Pulley (with optional Brass Pulley) Silicone belts. Ceramic Zirconia Oxide ball bearing. COMPATIBILITY Rega P1, RP1, P2, P3-24, Planar 2(original version & 2016 version), Planar 3 (original version & 2016 version) , Planar 5, Planar 25. 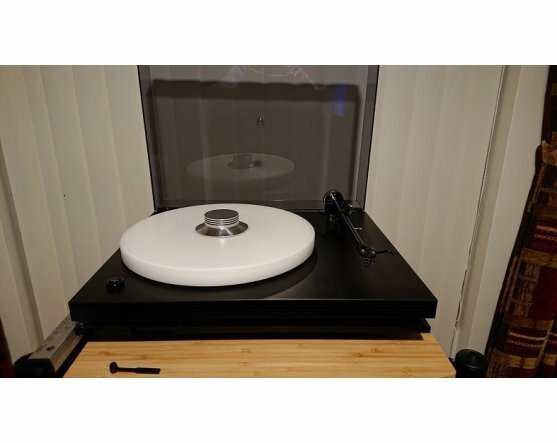 Any Rega model that work with a standard height (11.5 mm) subplatter and a MDF fiber, resin, glass, acrylic or Delrin (r) platter. 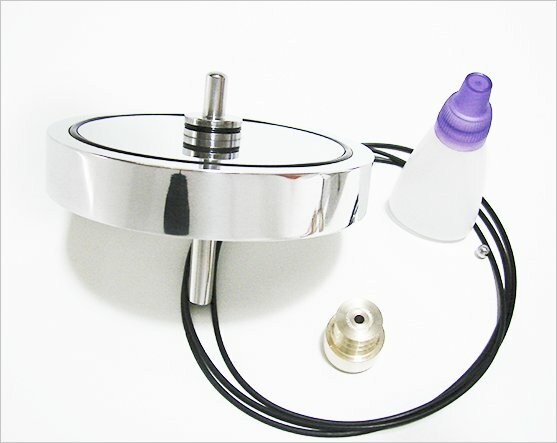 Note: unless you have TTPSU you won´t have 45 RPM speed with this kit. CHARACTERISTIC Mederos model subplatter (11.5 mm hub height) with butyl rubber inserts. 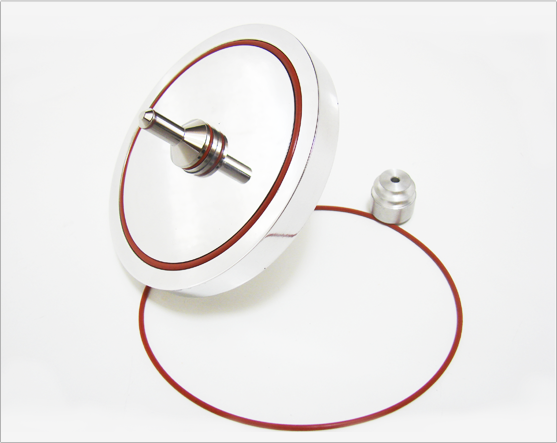 Aluminium 33/33 pulley (optional upgrade to brass pulley). Butyl rubber belts. Ceramic Zirconia Oxide Ball Bearing Optimal for MDF/Fiber/Resin Platters. 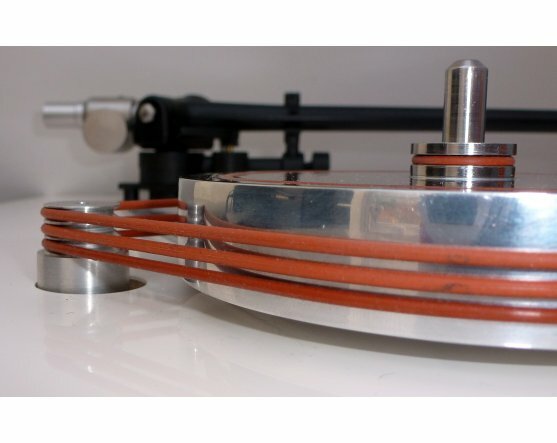 COMPATIBILITY Rega RP1, RP2, P1, Planar 1 2016, or any Rega model that work with a 11.5 mm hub heigh subplatter and with a MDF/Fiber/Resin platter. 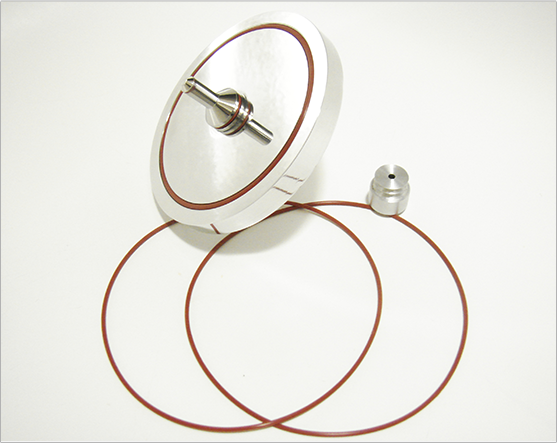 Note: unless you have TTPSU you won´t have 45 RPM speed with this kit. CHARACTERISTIC Mederos model subplatter (11.5 mm hub height) with butyl rubber inserts. 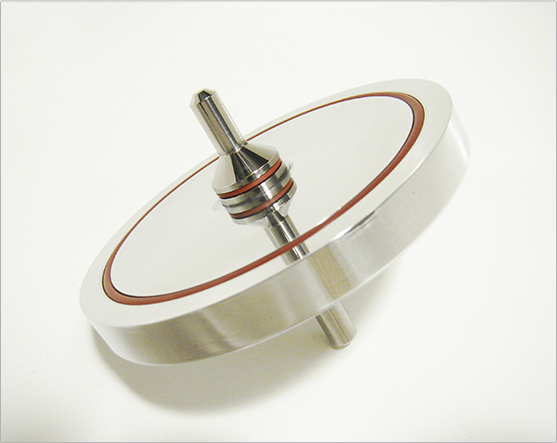 Aluminium 33/45 pulley (optional upgrade to brass pulley). Butyl rubber belts. 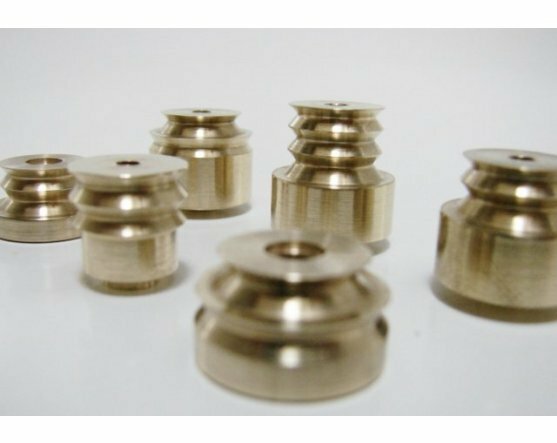 Ceramic zirconia oxide ball bearing Optimal for MDF/Fiber/Resin Platters. CHARACTERISTIC Troilo model subplatter (17.5 mm hub height) with red silicone inserts. Brass Pulley. Red silicone belts. Ceramic Zirconia Oxide Ball Bearing Optimal for glass, acrylic or Delrin platters. CHARACTERISTIC Troilo model subplatter (17.5 mm hub height) with black EPDM inserts. 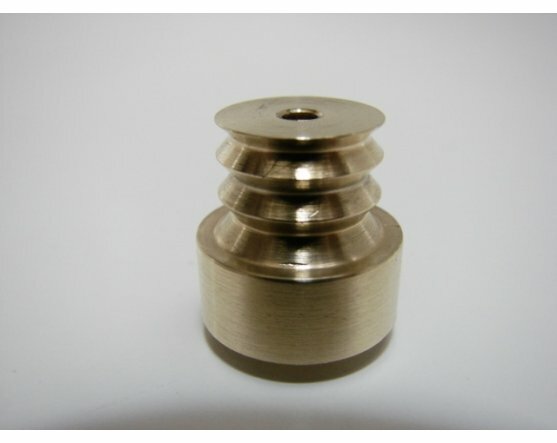 Brass Pulley. Black EPDM belts. Ceramic Zirconia Oxide Ball Bearing Optimal for glass, acrylic or Delrin platters. COMPATIBILITY Rega RP6 with TTPSU and 2017 Planar 6. 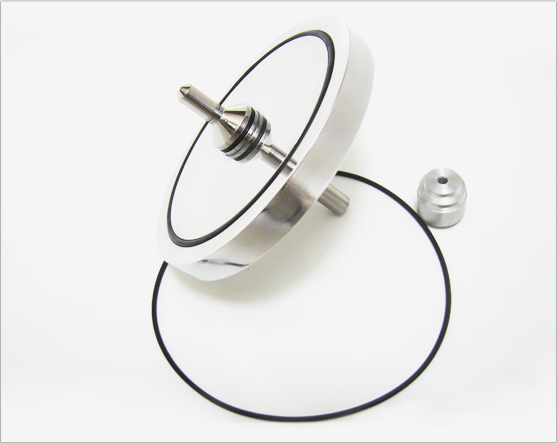 COMPATIBILITY FOR MORES, DEL CARRIL, PUGLIESE, CANARO TANGOSPINNER UPGRADE KITS TO BE INSTALLED AT EVERY REGA MODEL IN 50 OR 60 HZ POWER SYSTEMS. 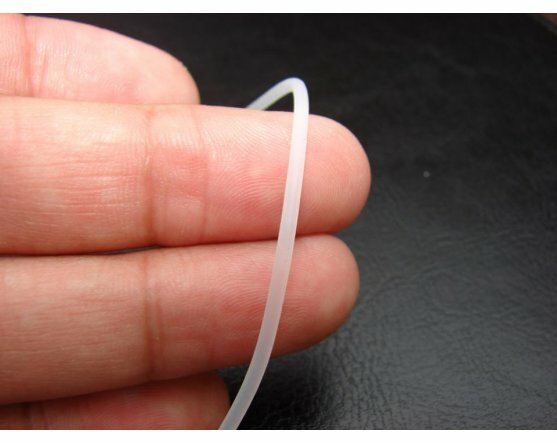 CHARACTERISTIC CLEAR PURE SILICONE BELTS. COMPATIBILITY FOR MORES, DEL CARRIL, PUGLIESE, CANARO, DARIENZO or LAVIE TANGOSPINNER UPGRADE KITS TO BE INSTALLED AT EVERY REGA MODEL IN 50 OR 60 HZ POWER SYSTEMS. 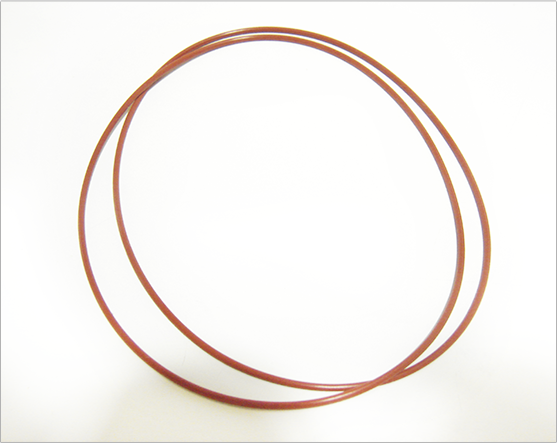 CHARACTERISTIC Red Silicone HQ drive belts for 50 or 60 Hz Rega Turntables. COMPATIBILITY Every Rega model. 50 and 60 Hz versions. CHARACTERISTIC Weight based record clamp. COMPATIBILITY Every Rega model and every other turntable brands, even with straight arms. They need to have no more of 20 mm of spindle portion protruding from LP surface. 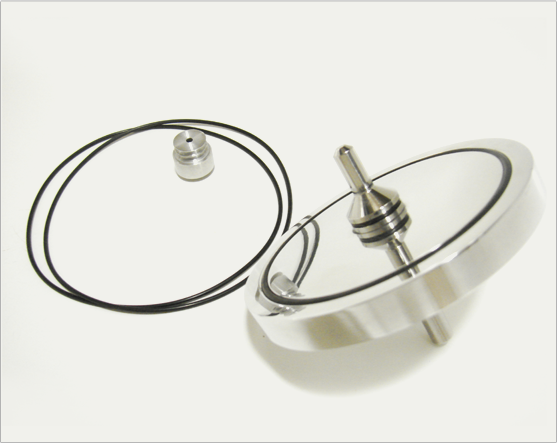 CHARACTERISTIC Pressure based record clamp. COMPATIBILITY Every Rega model and every other turntable brands, even with straight arms. They need to have no more of 20 mm of spindle portion protruding from LP surface. 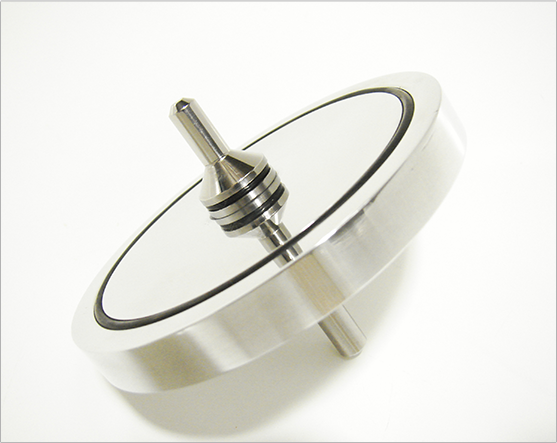 Note: At insertion, a slight pressure over spindle needs to be applied. COMPATIBILITY EVERY 7" SINGLE VINYL RECORD WITH 1.5" HOLE.